The operators of ski-Doos, boat and other personal watercraft all have the responsibility under the West Palm Beach law to safely operate their vessels and protect their passenger and people around them on the water. Our West Palm Beach Boat Accident Lawyers who has helped many individuals in the past that have been involved in watercraft crashes, get the compensation due to them and save you all the stress you will have to pass through to recover the compensation. 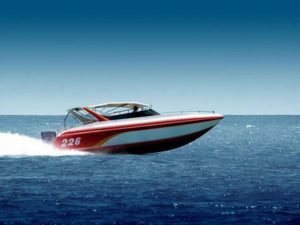 Careless Operation of Boat: you should not carelessly handle boats that will put the others people on the water to risk, or speed beyond the limit stated for safe boat operation. Reckless Operation: you should not operate any watercraft or boat that will destroy the properties of the others, or collide with other ships by going to going close to the other boats. So every vessel or boat is to wait for the other to avoid an unnecessary collision. And the boat should not be operated at a speed that will allow it to pose a risk that will cause a watercraft crash. A person that violate any of this regulation that leads to the accident or death of someone will be responsible for the compensation if found guilty. Passing: When two boats are approaching each other, each of the boat operators is responsible for making sure they don’t collide by waiting for one boat to pass. Crossing: When the ship is approaching each other at a right angle, the one on the right should allow having its way. Overtaking: each boat can overtake another, but most get the permission from the vessel they will want to exceed. Restricted Areas: A person cannot operate, or watercraft should operate in are that has been marked off with a buoy for fishing or other activities. In area mark as “No Wake” no boat should go more than 5 miles per hour. Speed Limit: You can’t operate your boat beyond 150 feet of the public launching ramp they owned, and no speed should go beyond a particular speed limit in No Wake areas. Operating Under the Influence: No one under, the influence of alcohol should be allowed to operate a watercraft or any other drug that renders the operator unfit to handle the watercraft. And the operator should not have any trace of drug in their urine. Unlawful Operation at Night: operating a boat at a time not specified in the sunrise or sunset. Passenger Location: No operator of a vessel should allow the passenger to sit on the gunwales or stern of the boat when the boat is moving unless the person is a guard or the person that prevent the passenger from falling off the boat. Many injuries caused by boating accidents involve the individual negligence. Our primary aim is to help you get the compensation you are entitled to, and many of our clients have settled the boat accident compensation through an insurance company or a trial in the court. In most of Our West Palm Beach boating accident cases, we employ the services of an expert in the fields of boat safety and recreational water safety to help present the case our client in the front of the judge. And another step we have designed to make sure our clients recover their compensation as fast as possible.